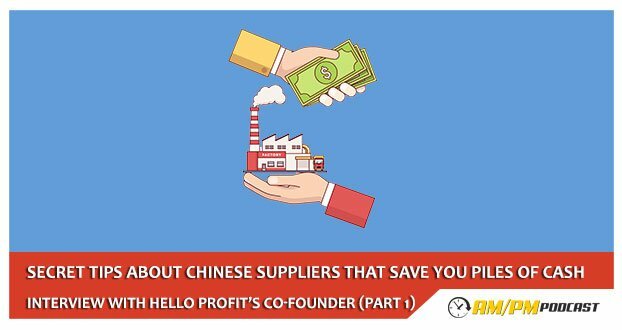 Co-Founder of HelloProfit, Ryan Bredemeyer, dives deep into how he negotiates with Chinese Suppliers, visiting the Canton Fair and the secret to getting suppliers to show you the good products behind the curtains, how Trade Companies may be better than you think, how to get better pricing, how being nice pays off big, and so much more as we dive deep into his sourcing knowledge. Ryan Bredemeyer shares his experience going to the Canton Fair. Ryan Bredemeyer shares how to effectively communicate and interact with Chinese suppliers. How do I get positive results with Chinese suppliers? What should I look for in the Canton fair? Ryan Bredemeyer shares how he looks for products to sell. Should I hire a translator if I go to the Canton fair? How do I benefit from physically attending the Canton Fair? How do I negotiate with Chinese suppliers in the manufacturing and pricing? What are the benefits of acquiring a sourcing agent? Where do I look for a sourcing agent? What are the Pros and Cons of working with a Trade Company?